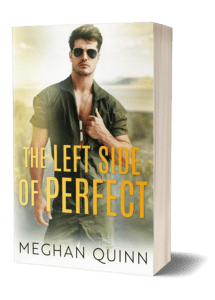 As soon as I finished Meghan Quinn’s Blue Line Duet, I had a feeling that she wasn’t done with Colby Brook’s story…that there was more to tell about this Sky Guy…how he lived his life and viewed the world and the woman it would take to not only help him fly high but also land on solid ground. And then when Quinn posted a few details about her next duet, in my mind, I knew who this story would be about and who Quinn would match up with a hero who has owned readers’ hearts since she first introduced readers to him…and I have to admit, I wasn’t happy about it…I didn’t want the pairing because I couldn’t understand how the characters’ pasts wouldn’t cause major issues in any kind of future relationship; in fact, I was so aggravated by my speculations coming true that I almost didn’t sign up to read/review this new duet, but then I realized that even if I didn’t completely understand why the author would go the route she planned, I still wanted to come along for that journey and see if Quinn could change my mind about who should be the woman to give Colby his happy ending because I also knew that she wouldn’t make things easy on this couple…that they would have to fight for what they wanted together, and boy did Quinn make this duet hurt before it healed. So, it’s that last part that I held onto as I ventured into this set of books, and I can wholeheartedly say that I was more than pleased with how Quinn laid out this couple’s story…how a strong friendship was established…how the push and pull between them was always there, but a strong foundation was built first – one that wasn’t overshadowed by past choices or relationships. 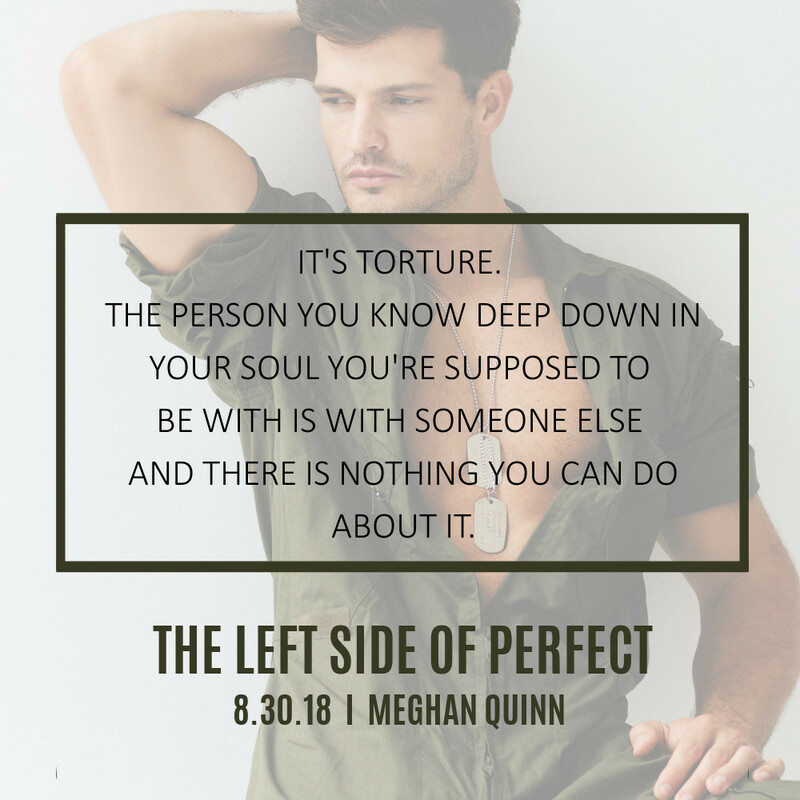 And, as I finished The Left Side of Perfect and my heart was heavy for a certain girl whose declaration made readers feel the depth of her pain and sadness, I held onto Quinn’s statement that ‘it will all work out,’ trusting her to give readers what they wanted and what her characters truly seemed to need even if it took them a roundabout way to get to that point. 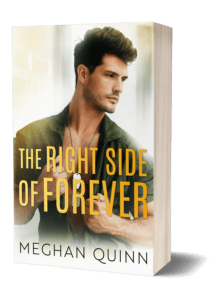 As I headed into The Right Side of Forever, knowing ultimately what the ending would be, I was struck by how deep Quinn took her main characters, and what I mean by that is in them understanding themselves, dealing with their own issues, and realizing their hearts’ deepest desires despite the difficult journey it would take to get them to where they were ready to be what each other needed them to be. 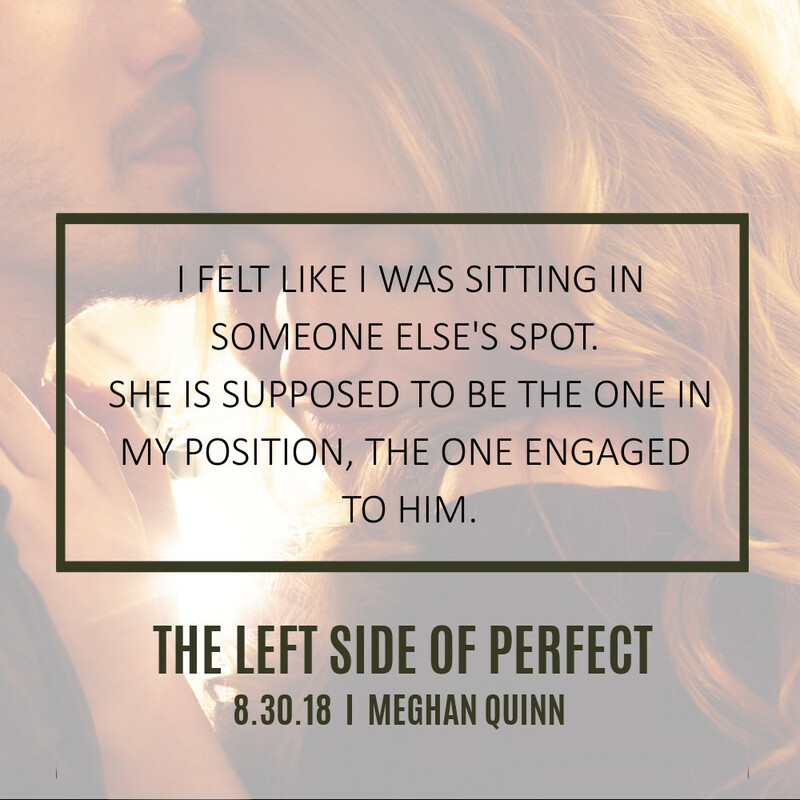 When I got to the last page of book 2, I can wholeheartedly say that I felt satisfied…I understood the reasons Meghan Quinn brought these two characters together and why they had to endure all of the obstacles Quinn set in their way in order to realize where they were destined to be and who they were destined to be with forever. 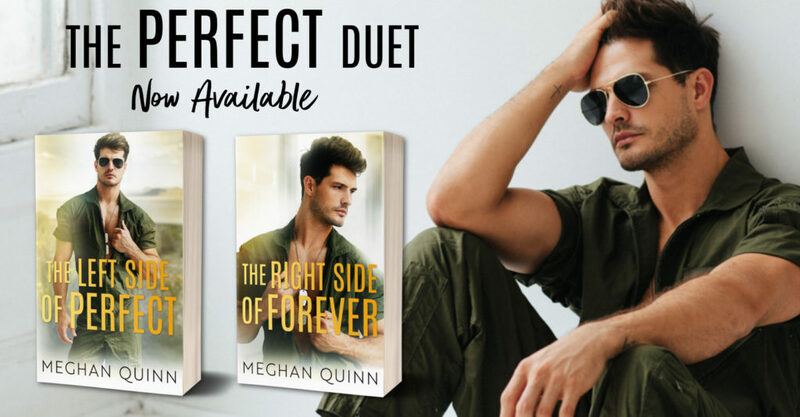 I’m glad I gave Meghan Quinn a chance to tell Colby’s story the way she and Colby wanted it to be told, and even though it took me some time to come to terms with the direction this duet went, by the time I finished it, I believed the hero and the heroine were destined for each other because Quinn made me believe in their friendship…in their feelings…in their love.